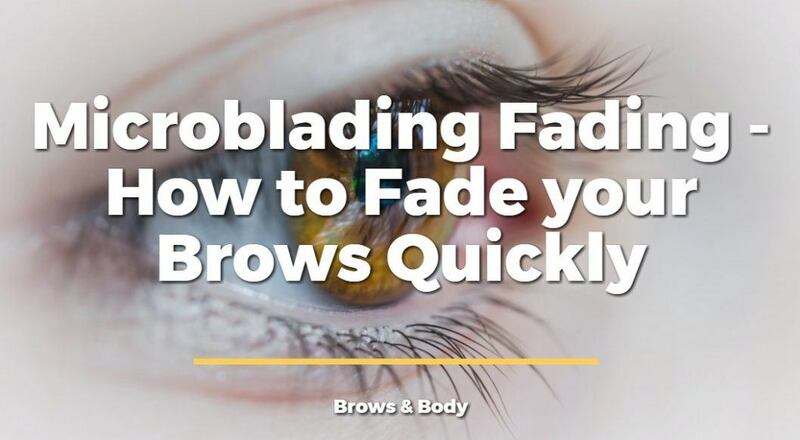 If you are NOT happy with your brows after microblading then you should know that there are several steps you can take to help fade your brows quickly. Before you decide to fade your brows you need to ask yourself a few questions though, to make sure that it is the right decision. Are you happy with the shape of your brows? Is the style or size of the brows fine? Are you worried your brows are too thick? Do you think your brows don't fit your face? All of these may simply be a NORMAL part of the healing experience and may naturally fade over time. Are you unhappy with your microblading results? If so you may feel the need to try and get back to your old brows as quickly as possible. Before you do that wait just a minute! Are you sure you really want your old brows back? The reason I ask is because you need to know that there will be some NATURAL fading of your brows over time (usually in as little as a few weeks and before the touchup). Immediately after you get your brows done is the worst time to assess whether or not you like them. They often appear "thick" and/or "dark". This is usually VERY normal! Your eyebrows are a critical part of your face so you may just need some time adjusting. In addition, the thickness and the darkness of the brows will immediately begin to fade, even before your touch up. But what if you REALLY hate them? If you are experiencing significant distress regarding the size, shape, thickness or color of your brows then it is possible that your artist simply did not go a great job. Sometimes the shape of your brow may not compliment your face, or worse they may have made a mistake. If this happens to you then it may be worth an attempt to fade your brows quickly (to get back to normal). So how do you go about fading your brows? The idea behind fading your brows is quite simple. The process of putting the new brows on your face is a semi-permanent procedure. By definition this means that it IS reversible. If you left your brows alone (and didn't get the touch up) they would naturally fade over the next 6-8 months (or even sooner). The process of microblading places the pigment in the dermal-epidermal function of the layers of skin. The epidermal layers of your skin naturally slough off over time and as they slough off they bring with it tiny amounts of pigment. 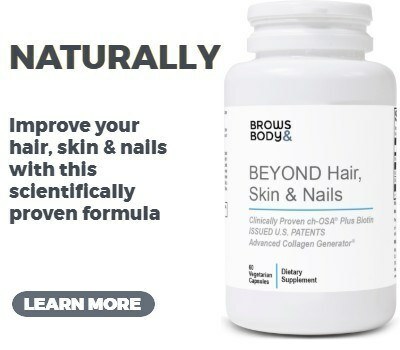 So we can fade the brows quickly by focusing on therapies that increase the turnover of your skin cells and therapies that help draw pigment out of the skin. Below I go over 5 different methods and therapies that you can use to help remove microblading from your skin quickly. Be gentle to your skin! I would recommend that you avoid invasive procedures such as laser therapy or deep skin peels. These may work, and they may work quickly, but they also come with the risk of permanent skin damage. It's NOT worth this risk because you can fade your brows over the course of a few weeks to months by following these procedures. Before you fade your brows please make absolutely sure that you are NOT happy with your brows! You don't want to make a snap decision immediately after you get microblading done. I recommend waiting at least 7 days after the procedure before you make any decisions, because you may end up loving your brows! 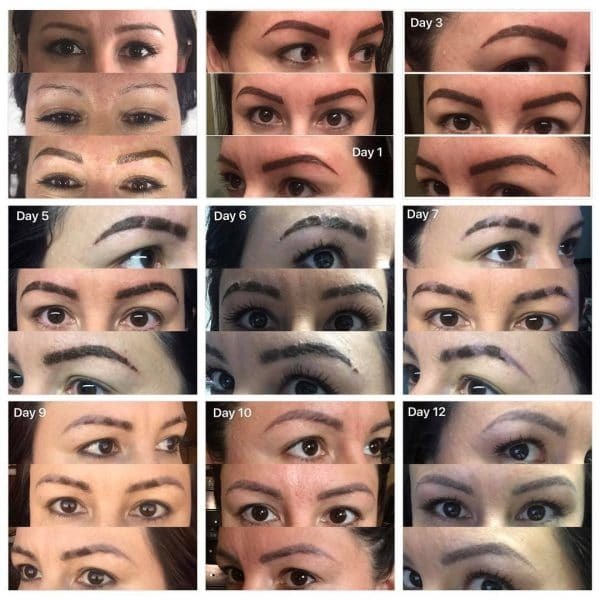 If it helps you can also see the entire microblading healing process with pictures to see exactly what other people are going through. The #1 rule for maintaining your microblading results is to follow the aftercare instructions to the "T". Which means that if you want to fade your brows you can break all of the after care instructions. That means go ahead and gently cleanse your brows each morning and night (with a gentle cleanser such as this one), it means that you can exercise and it means that you don't have to be shy about touching your brows. Just be sure that you don't increase your risk of infection by playing with the brows too much. The microblading procedure does result in some minor (yet reversible) damage to the skin so make sure you respect the healing process still. The next step is to make sure that you sweat, sweat, sweat! Sweating will help liberate pigment from the skin and draw it to the surface. It will also act as a dissolving agent for the pigment in the skin. When I am talking about sweating I mean dripping sweat. This means that you CAN and SHOULD exercise, especially using high intensity work outs. Work yourself up until you are dripping with sweat (at least 3x per week). Combine the sweating with the gentle cleansing above both morning and night. If you are serious about getting the pigment out then you can also try more advanced exfoliative procedures designed to increase cellular turn over. Procedures such as microdermabrasian and facials with cleansers can help exfoliate the upper layers of the skin and help the body naturally get rid of the pigment. You may need several sessions of microdermabrasion but you should notice a definite "lightening" after each and every session. This should only be necessary for 1-2 months before your brows fade to an amount that is probably not very noticeable (except to you). Using a sauna is an easy way to work up a sweat (without exercise) and help detox the body. Using a FAR IR sauna will bring you to a deep sweat within 15-20 minutes and it is very effective at helping heal the body and push out the pigment from microblading. If you don't have access to a FAR IR sauna you can also just use a regular hot box at your local gym. Use a sauna up to 3x per week for at least 20 minutes or until you are dripping with sweat. Beyond gentle cleansers you can also use certain chemicals to help speed up the cellular turn over of the skin naturally. Retinol, otherwise known as vitamin A, can dramatically speed up this turnover time. It normally takes your skin up to 60 days to "slough" off before a new set of skin cells replaces the old cells. Using retinol can speed up this process and cause your body to slough off old skin every 20-25 days instead of every 55-60 days. Daily use of retinol also makes the skin "thinner" which is one of the reasons that you should NOT use it prior to getting microblading done. If your skin is thinner then it's easier for the pigment to go deeper into the skin. I recommend using a retinol product such as this. In general if you want to fade your brows you don't want to get the touch up. On the other hand, your artist might be able to fix your brows at the touch up or fix the issues that you are unhappy with. Before you skip the touch up it's best if you touch base with your artist and ask if they can alter or fix the issues that you are dealing with. If they don't think anything is wrong then it may be a good idea to skip the touch up. The touch up is designed to increase the longevity of your brows, so you don't want to undergo the procedure if you want your brows to fade quickly. DON'T get the touch up! Are you happy with your brows? Do you want to fade them quickly?